The NWC-CRSL-IC custom closed solid lumber wooden shipping crate with internal cleats from The Nelson Company. We can meet any volume requirement and offer custom-built wood crates in sizes optimized for your cargo. 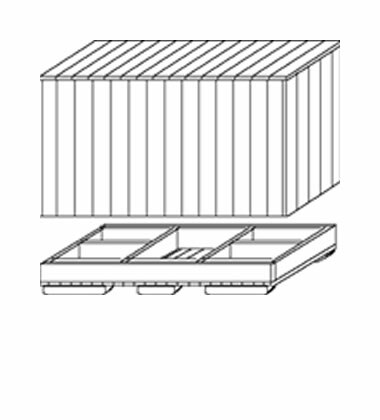 Please send me a price on the NWC-CRSL-IC Closed Solid Lumber Panel Wood Crate with Internal Cleats. Lighter materials takes center stage with this one-way wooden crate custom designed to get the most product safely shipped at once.